While dozens of social outlets exist for artists today, Instagram is quickly becoming one of the most useful tools for an artist's career. This is certainly not old news, and Instagram has reigned supreme for artists and brands since its inception in 2010, though it's also a sign of a trend in social media use and social media marketing. The trend is that folks are now more apt to use tools that are short-form, easy, and give a glimpse into the more casual side of brands and artists. While tools like Facebook serve as great channels for promotion, outlets such as Instagram and Snapchat have allowed users to see the more personal side of artists that they enjoy (while still allowing them to promote their work). Simple, yes, but this is important to understand how to strategize. Instagram is quite simple. It's a photo-sharing platform that also allows short-form (15-second) videos. Generally, following others is done by searching hashtags, or simply searching for your favorite artist, brand, or friend. Since this is a photo and video sharing platform, obviously the first step is to brainstorm what kind of content you can offer, and start planning throughout your day, shows, and recording sessions. Again, digital marketing is moving towards a more personable feel. Therefore, this is an outlet for you to post about your work and upcoming shows, but it's also a way for you to show your fans a side of you they may not get to see just from listening to your work or going to your gigs. What and when should I post? Success on Instagram is measured through interactions as well as follower count. A good Instagram account interacts with fans, uses proper hashtags, and follows similar accounts and engages them as well. As alluded to above, post things that fans will enjoy and can't get elsewhere! While it's fine (and recommended) to post a gig flyer or custom graphic promoting a show, also focus on subtly promoting your work by posting photos of you in the studio, or even a photo of your guitar or microphone, and use the caption as a way to plug anything you need to promote. 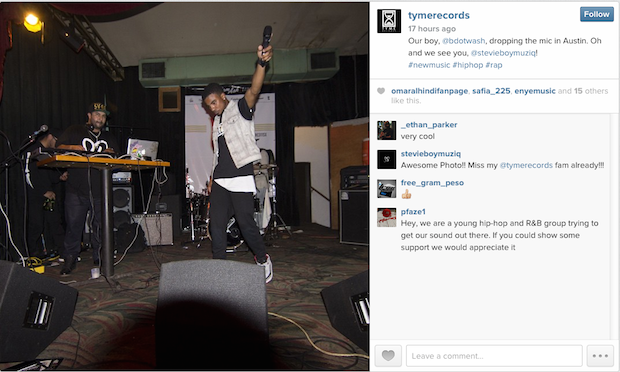 Hashtags are an essential element of Instagram music marketing. People find your account through hashtags, so make sure they're used! Now, this doesn't mean go too crazy. Be sure that your hashtags make sense and flow well with your post. Too many hashtags can also come off as a bit cheesy. While there's not necessarily a standard "peak" time to promote on Instagram, keep track of which times your fans best react to your posts. I'd also recommend posting at a time that most brands don't. Since most brands and celebs will schedule posts on the hour, try and beat that by posting your stuff at, let's say, 3:12 p.m. rather than 3:00 p.m. You should aim to post at least one to two times daily, though if your work isn't photo-heavy (which it might not be if you don't tour or perform live much), then it's perfectly fine to only post a few times a week. Interacting with top or budding Instagram users in your genre or interest is very important for this platform. Search relevant tags for your genre and comment on others' work. Don't be spammy! Don't just throw up a link to your SoundCloud and dip. Don't even promote your work at all, unless it's relevant. 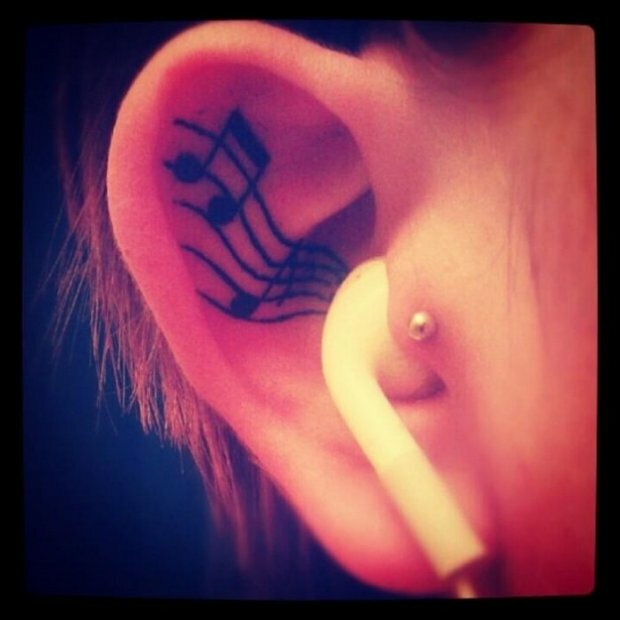 A simple, "Great work, really love your sound!" will surely suffice. If you really want them to view your work, make sure it's personable, like, "I really like your new song 'Birdhouse Blues'! I think you'd dig my stuff too; check out my page!" As an artist, don't forget to use video to showcase your sound. I've had great success in simply having an artist record a 15-second clip of their computer as their single played on iTunes, and then pairing it with an "out now" caption. Video can be a great way to entice fans to want to hear more and engage with your work. Here we did a very simple video post for Omar Alhindi’s EP, and gained tons of interaction! Ensure that you bring folks back to your Instagram by promoting it on your website and other channels. Share the occasional Instagram video to your Facebook fans and so forth. This piece of footage was posted from The Crossing’s record label, and then shared by The Crossing across their Facebook and Twitter. Easy piece of content that was able to be used in multiple ways! Now, that being said, I don't recommend linking every channel to Instagram so that when you post, it automatically appears on all your social profiles. Instead, let Instagram be its own entity. It's supposed to be fun, casual, and a great way to connect with fans, so enjoy it! As a music marketing strategist, Tyler Allen works with an extensive array of artists, labels, music tech, and music retail entities. Tyler began his music industry career with Sony Music Entertainment and RED Distribution, as well as the advertising industry. He is dedicated to giving veteran artists the tools to preserve their legacy, and new artists the tools to begin theirs (as well as everything in between). Learn more at wtylerconsulting.com. He also offers strategy and artist packages for DIY and indie artists on a budget, here.